Fact-filled fun in a World Heritage site! 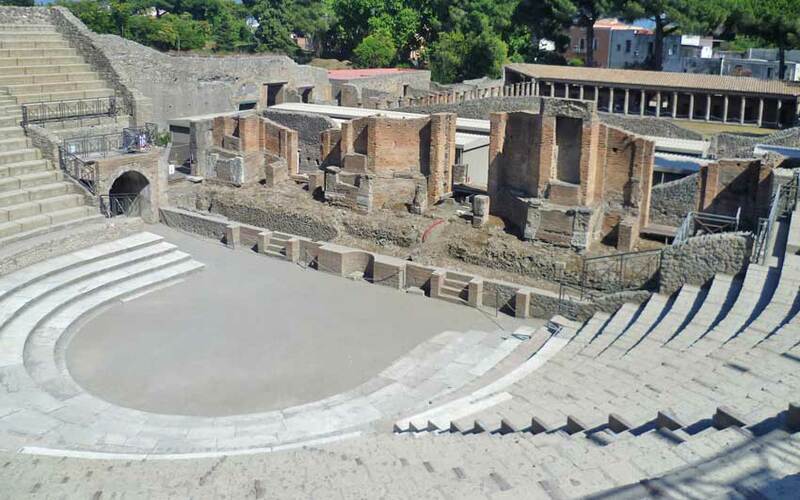 It is with great pleasure that we present this unique child-centered Pompeii Tour for Kids. If you’re in Rome, you won’t want to miss the opportunity to participate in an interactive tour geared specifically toward children’s entertainment and education. This hands-on exploration of the best-preserved city of the ancient Roman Empire is exceptional. In 79 A.D., Mt. 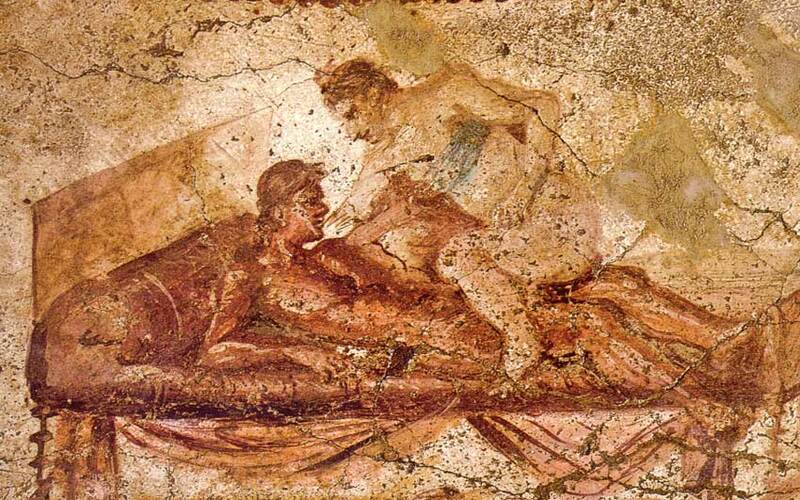 Vesuvius erupted, burying the thriving civilization of Pompeii in ash and lava. Buried until the 18th Century, the excavated ruins are a World Heritage site known the world over. 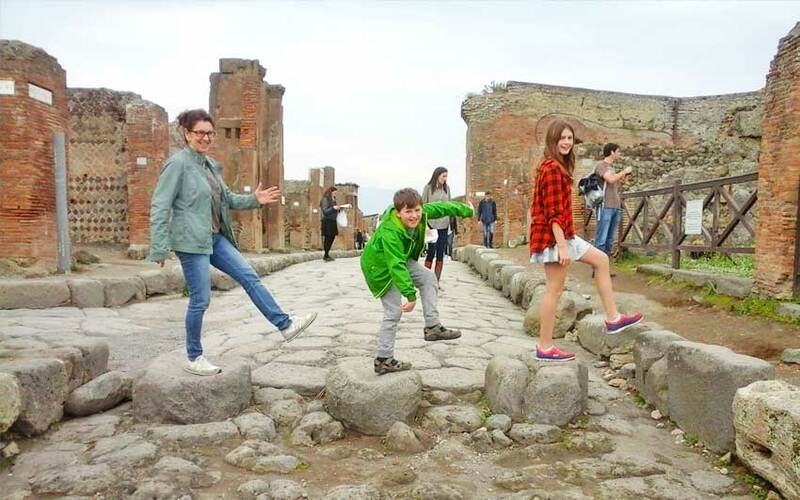 With an adept English-speaking tour guide, your family will climb the steps of an ancient theater, drink from original fountains, and cross the thresholds of early restaurants. 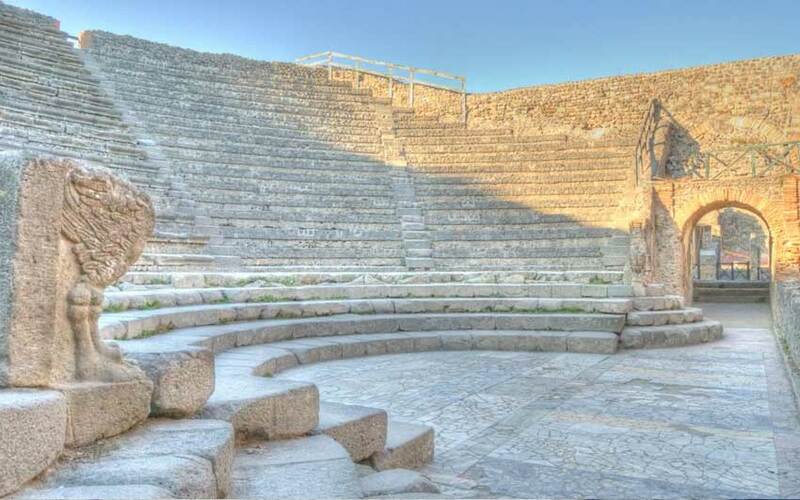 Learn and play together in this outdoor mecca of history as you walk the cobbled streets. Visit homes, thermal baths and temples. This is a land that time forgot. See rare examples of intact art and architecture, representative of an advanced civilization rich in tradition and culture. Sightseeing can be overwhelming for children when it involves waiting in boring lines to see places and artifacts they don’t understand. 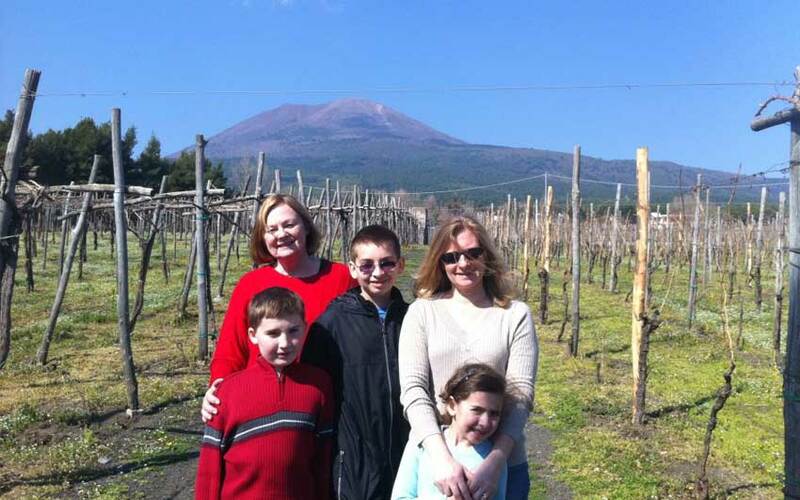 With our tours, your children are the center of activity. With privileged, reserved admission to historic sites, there’s no boredom and fidgeting in long lines. Interactive visual learning tools, pop-up books, iPad games and trivia are tailored to delve into areas that will pique the curiosity of children. Our customized tours engage children in effortless learning. Each tour is rich in art, culture and history. Your child will enjoy a feast for the senses as he takes in new colors, sights and sounds. Diversity is the spice of life, and your child will gain real world experience that will benefit him in school and in life. When you’ve worked up an appetite, you’ll find restaurants near our tour destination for comfortable dining. 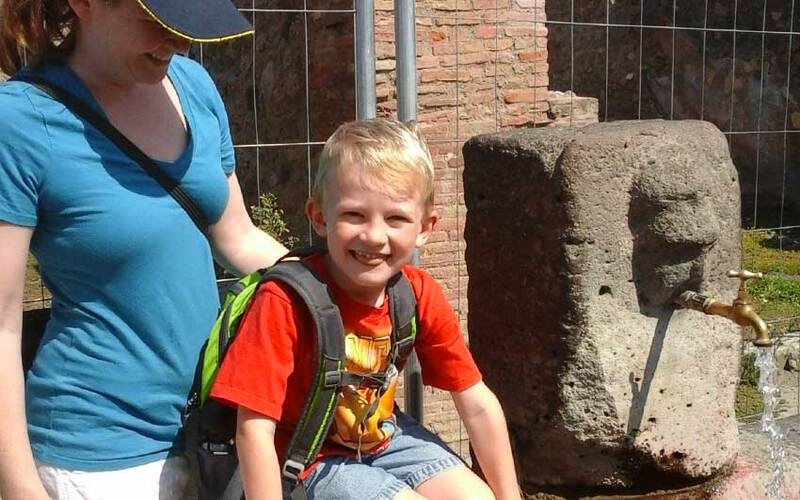 The Pompeii Tour for Kids is an authentic immersion into history. 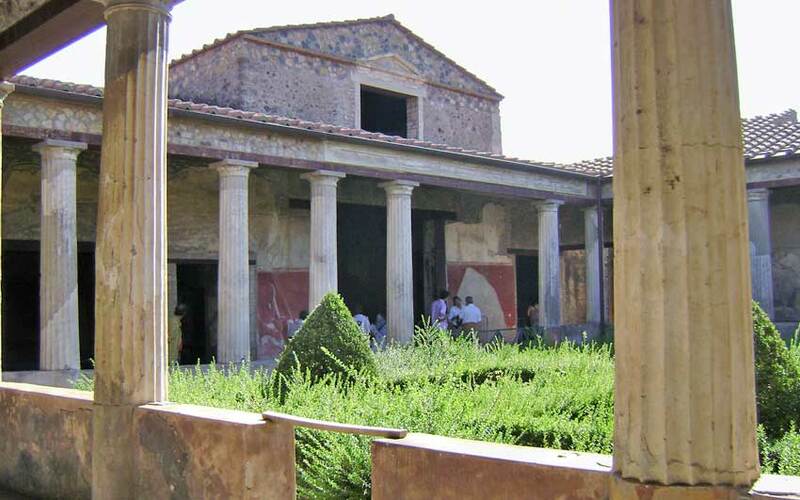 Don’t miss your chance to discover the wonders of Pompeii on your Roman holiday! Parents must accompany children at all times. Available everyday except Tuesdays, January 1, May 1 and December 25. The tour takes places rain or shine. It is indoor. Car or Circumvesuviana train from Naples to Pompeii. For details about our meeting point contact us by email or use the form. 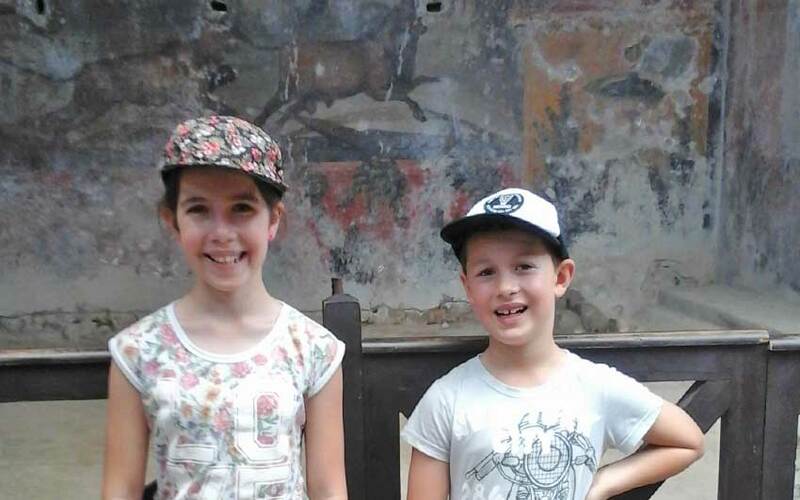 Fun and educational tour of Pompeii highlights for children and their family led by a local specialized guide.